Read our expert reviews on the best subscription boxes online, in categories ranging from beauty and women’s clothing to geek boxes, fitness boxes, and more. See our reviewer top picks as well as best subscription boxes voted for by the MSA community. 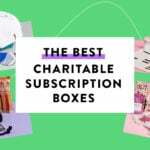 Best Subscription Boxes for Home & Household – 2018 Award Winners! Best Men’s Clothing & Style Subscription Boxes – 2018 Award Winners! Best Personal Stylist Online Services & Boxes – 2018 Award Winners! 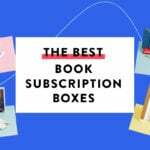 The Best Book Subscription Boxes for Everyone – Our 2018 Winners! The Best Geek Subscription Boxes – Our 2018 Award Winners! The Best Skincare Subscription Boxes of 2018 – Voted by You! The Best Cat Subscription Boxes of 2018 – As Voted by Our Readers! The Best Monthly Snack Box Subscriptions – Our 2018 Award Winners!